Phone 0417109551 (Tara) for Free Hire. 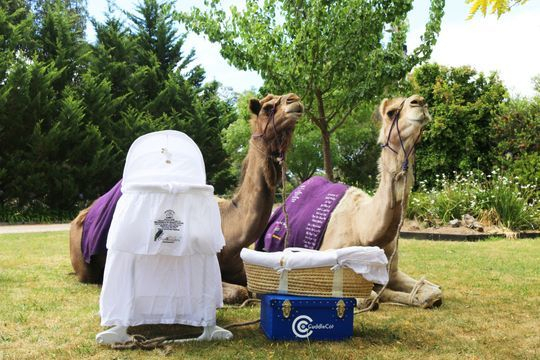 Gippsland Community Cuddle Cot made possible by the Camels for Cuddles Charity Camel Trek (October 2016), the support and generosity of the Gippsland community & Noah Lea Osborne blessing us with his short presence on earth and his eternal presence in our hearts. 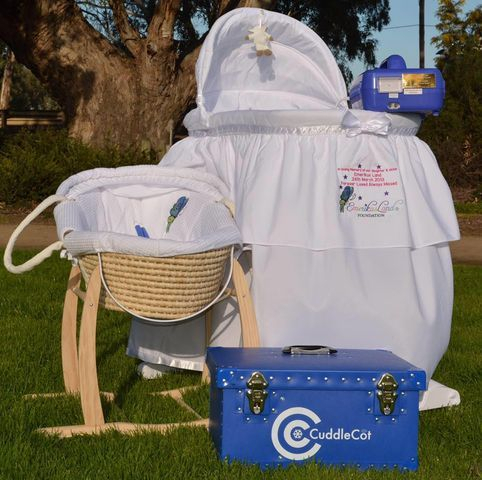 Gippsland Community Cuddle Cot is available for FREE hire to families that are experiencing the loss of a baby. We all dream of watching our children grow, never do we think that we would be saying goodbye to them shortly after their birth. If you're a bereaved family, we are very sorry for your loss. These precocious little souls and their short journeys on earth deserve to be honoured, respected and treasured forever. The families that experience baby loss deserve the time, space and support to allow this new reality set in. It's such a shock, but we want to support families through this shock by allowing them time with their beautiful baby or babies. For up to 10 days the Cuddle Cot allows families to chose the space in which they want to spend time with their baby or babies after they pass away. Every family deserves their own privacy and space to grieve in their own way. There is no wrong or right way to grieve. This could mean having the privacy and comfort in your own home with your baby or babies as you ride the waves of shock and grief or in your chosen Hospital or maternity ward. The baby or babies can be taken in and out of the cuddle cot for cuddles & kisses while their little bodies remain cool with the effects of the Cuddle Cot (this slows down the decomposing of the body). East Gippsland Born 'Noah' having cuddles with mum after passing on. What is a cuddle cot and why use it? A Cuddle Cot is a small cooling mat (like an electric blanket) and is designed for use with deceased babies in any moses basket or cot. It's designed for bereaved families to be used at home or used within hospitals/maternity department so families can have time, cuddles and kisses and tell their baby or babies how much they are loved before saying their final goodbyes. There are two size options available, the Moses basket for smaller (premature) babies and the Bassinett for bigger babies. Giving birth is a big deal for mother and father, not to mention the associated grief after baby loss. Families can keep their baby or babies close to the bed side without the rush of saying final goodbyes. Families can take the time to admire the beautiful human they have created and allow time to come to some form of acceptance of the trauma that is occurring. Having a Cuddle Cot is a gentle way to allow families to grieve and deal with shock without the abruption of having their child be taken away only hours after birth. After a body is deceased the soul often remains to see how much they are loved and respected. The souls often observe and appreciate the love shown through touch before they finally go 'home'.... They remain to support their loved ones through the journey of grief. Parents of 'Angel Babies' often report of the little 'signs' their Angel's leave them. The Cuddle Cot allows this time to get to know your baby physically and on a soul level. Noah having cuddles with Daddy. A Cuddle Cot is something we wished that we had for our baby boy Noah. 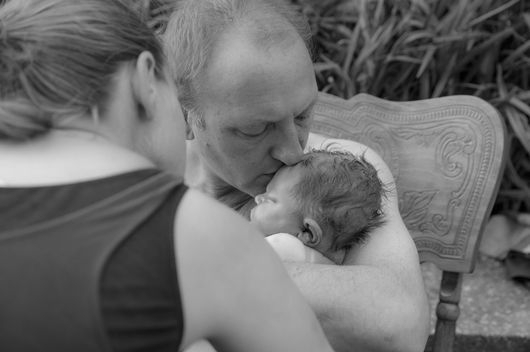 We were lucky enough to have cuddles with him after his final breathe in a Melbourne Hospital, but unable to 'bring him home' as all parents wish to. We (Russell & Tara) never got this opportunity to bring Noah home due to no cuddle cot available for loan in our local area, 3 1/2 hours from Melbourne. We would have loved to have our children hold their baby brother as they eagerly wanted to and say our goody byes gradually. Since we now realise the importance of grieving to bereaved families we want to bless other families with this opportunity, the opportunity that we didn't get, but through Noah's legacy to make an important loving statement to grieving families.